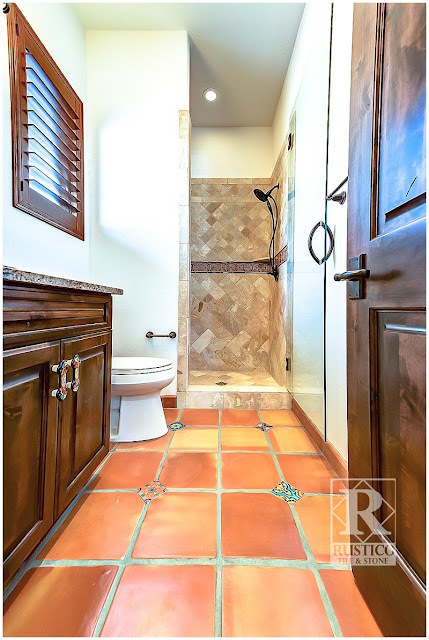 If you’re tired of your dull living room, bleak kitchen, uninviting patio, boring bathroom, or drab entryway, consider authentic Mexican tile your ticket to a new and improved way of living. With so many styles, colors, shapes and sizes to choose from, tile is the perfect way to completely refresh the appearance and ambiance of your home. Authentic Mexican tile is an umbrella term for the wide variety of handcrafted decorative tiles created in Mexico. 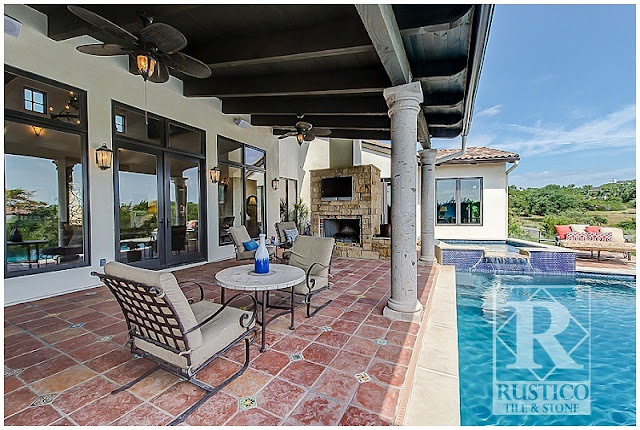 Rustico Tile and Stone manufactures the four most popular types of Mexican tile: Saltillo tile, Talavera, Cantera, and Cement tile. 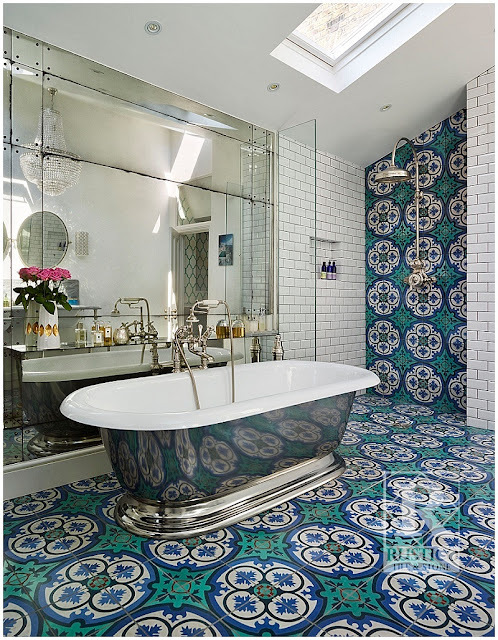 Each type brings its own unique beauty and benefits to a space, and many people incorporate several different kinds of tile into their design to achieve the perfect look. Ready to step up your interior design game? Read on to find out which type of Mexican tile is best for your next design project, as we explore some of their best and most popular uses. Saltillo Tile is the most popular Mexican tile. 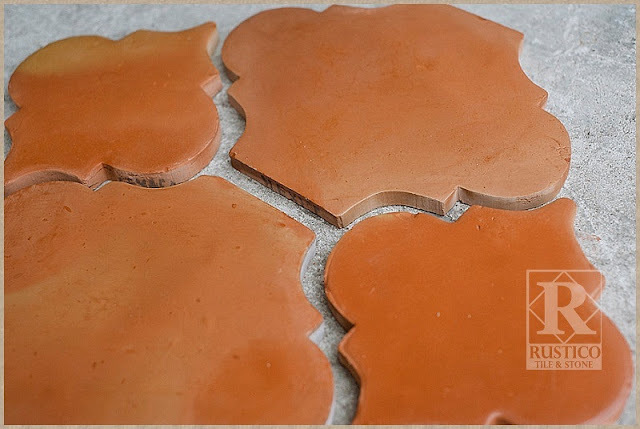 Known as Terra Cotta, it is created from durable clay that is only available in the tile’s place of origin: Saltillo, Coahuila, Mexico. It is commonly used for flooring, as it is lovely, long lasting, and easy to clean. Popular spots to install Saltillo include kitchens, dining rooms, bedrooms, bathrooms, and outdoor patios. Tiles are available in many different shapes and sizes, and no two tiles are alike, adding to their rustic charm. 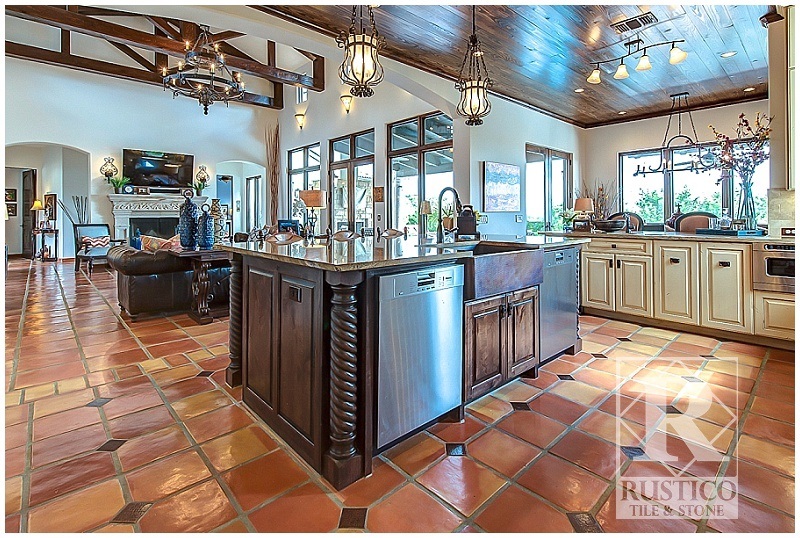 Rustico Tile and Stone manufactures Saltillo tile in three styles: Traditional, Manganese, and Antique. In order to choose the best style of Saltillo tile for your project, consider the character of the space where you plan to install it. Traditional Saltillo ranges in color from warm reds and oranges to golden yellow, making it an excellent choice for neutral rooms that need a pop of color. Manganese Saltillo trends towards shades of light to dark brown and Terra Cotta, and its subtle black swirls add a marbled finish. This tile lends itself well to rooms that already have a lot of color or bright design elements. If you’re looking for an Old-World style of décor, consider Antique Saltillo, which comes in neutral, earthy Terra Cotta hues and has the appearance of reclaimed clay tile. This type of tile is particularly effective in outdoor and wet areas, as it is hand-textured for a non-slip surface. TalaveraTile hails from Puebla, Mexico, and has a history dating back to the 16th century, when it was primarily used for pottery. Rustico’s hand painted Talavera ceramic tile is both customizable and versatile. It is frequently installed along countertops or as a backsplash in kitchens, and makes a beautiful statement for bathroom walls, counters, and shower enclosures. Because of its bright coloring, Talavera tile creates a bold contrast when mixed with neutral colors in a room. It looks particularly stunning when arranged in a complex mural pattern on a wall, or installed on stair risers in bright or contrasting hues. For a modern design twist, choose an updated look, such as a geometric pattern, rather than a more traditional motif, such as a floral pattern. 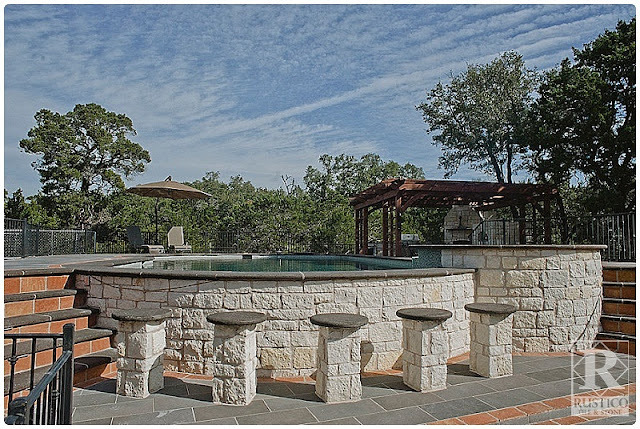 Cantera is the go-to tile for outdoor design. Mined in Mexico, it is the only stone that has properties of volcanic rock, so it is ideally suited to cutting and carving. Its durability makes it a popular choice for architectural elements such as fire places, stone fountains, outdoor water features, hand carved balustrade systems, columns, door and window surrounds, stone hoods, outdoor floor tiles, and much more. It is available in several different colors, and the one that’s best for you depends on your design preference: tan is a beautiful traditional choice, while white adds a more contemporary look. 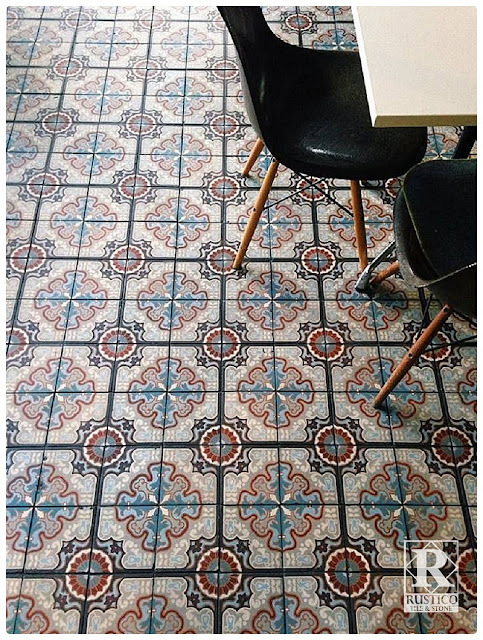 Cement tile is an updated alternative to older style encaustic tile. This durable, decorative tile is strong enough to be used both indoors and outdoors, and performs well in high traffic or wet areas, such as patios, pool surrounds, and bathrooms. Like Talavera tile, Cement tile is most frequently used as an accent, thought it also looks striking when installed across an entire floor or wall. It’s easy to maintain and clean with a sealed surface. With over 60 solid colors to choose from, and both ready-made and customizable patterns available, Rustico’s Cement tile is transforming indoor and outdoor spaces in the U.S. and beyond. 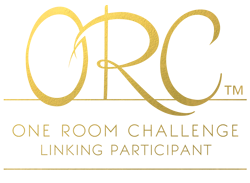 We hope these examples have given you some insight into choosing the best tile for your next interior design project. The possibilities are endless, and the results are priceless. Make every space count! Rustico is the largest manufacturer and distributor for authentic, handmade saltillo tile in Mexico. The company also serves as the leading national distributor for other specialty Mexican tile and stone including: Encaustic Cement Tile, Talavera, and Cantera Stone. Rustico offers wholesale pricing and ships worldwide.